Easter Brunch at Casa Sol y Mar! 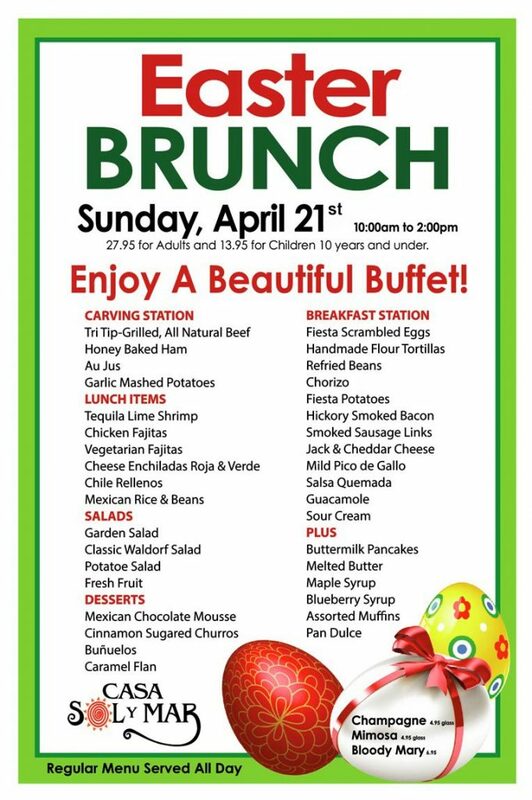 Come to Casa Sol y Mar this Easter Sunday for a beautiful brunch buffet with delicious Mexican and traditional breakfast favorites! It’s a Friday Fiesta for National Margarita Day at Casa Sol y Mar! Join us on Friday, Feb. 22 for National Margarita Day! 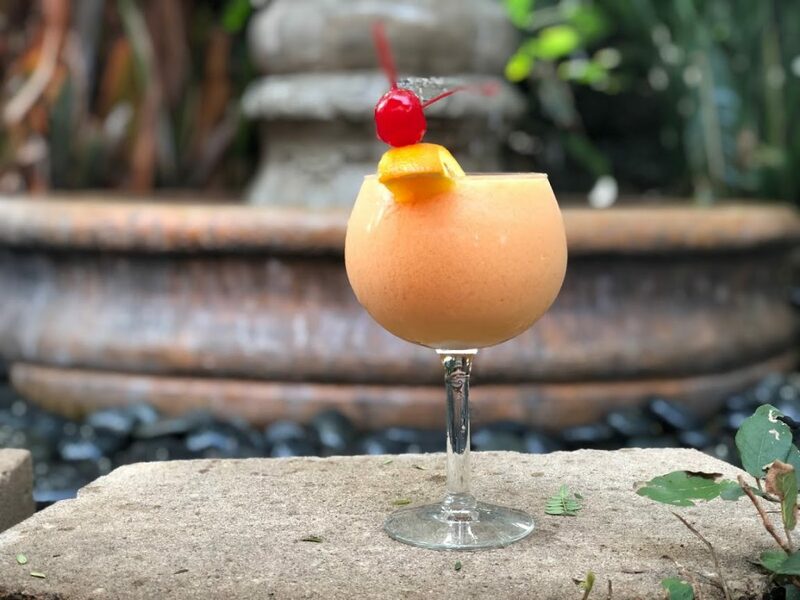 We are celebrating by serving our famous house margaritas — which come in flavors like strawberry, raspberry, peach, banana, lemon-lime and mango — at our happy hour price of $6.95; all day, all restaurant. 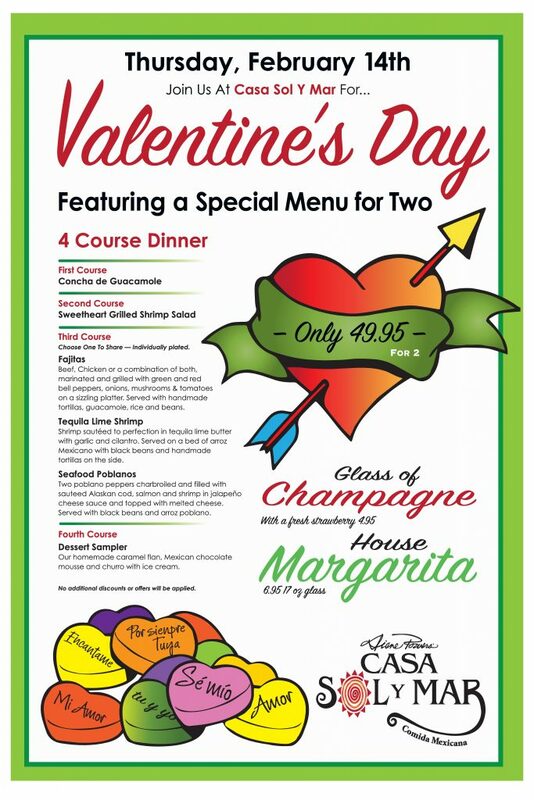 Celebrate your love with a fabulous four-course, shared dinner for two! This Father’s Day, treat Dad to a festive meal at Casa Sol y Mar! 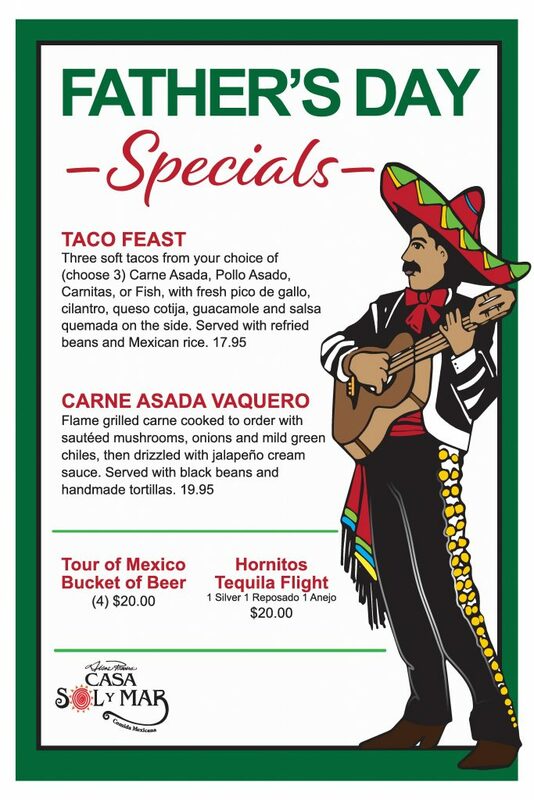 Check out our delicious, Dad-sized specials below. 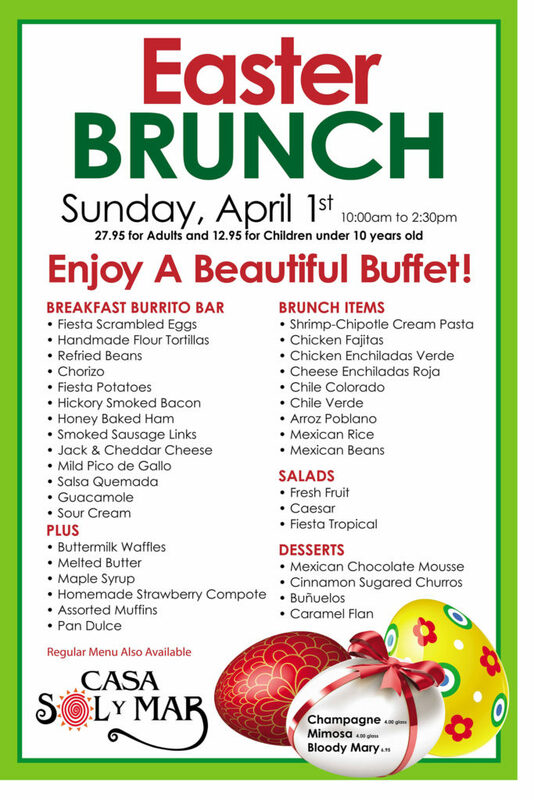 A Family Friendly Fiesta: Join Casa Sol y Mar for a Beautiful Easter Brunch! No April Fools’ Day jokes here! Casa Sol y Mar is hosting a fabulous brunch for Easter Sunday on April 1. Join us from 10 a.m. to 2:30 p.m. for a delicious selection of Mexican food favorites – including a breakfast burrito bar (YUM!) – and traditional breakfast staples. Check out our full menu below. 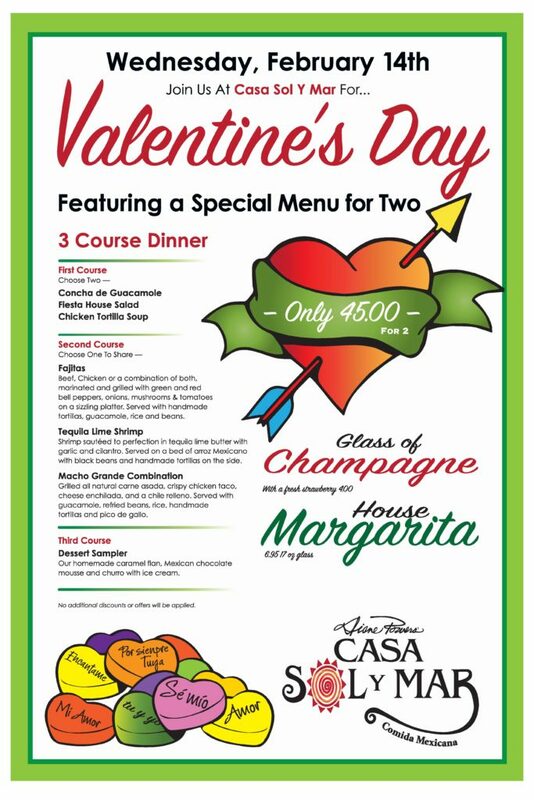 Celebrate the season of love at Diane Powers’ Casa Sol y Mar in Del Mar Highlands Town Center with a three-course Valentine’s Day dinner for two. For the first course, guests will pick two of three appetizers: concha de guacamole, a fiesta house salad or chicken tortilla soup, then share a plate of sizzling fajitas with world-famous handmade tortillas, Tequila Lime Shrimp sautéed to perfection, or the “Macho Grande” combination which includes carne asada, a chicken taco, cheese enchilada and delicious chile relleno. A dessert sampler ends the meal with a decadent sampling of homemade caramel flan, Mexican chocolate mousse and a churro with ice cream. Add a glass of champagne and a fresh strawberry for $4 or a house margarita for $6.95. To make a reservation, call 858-792-4100. 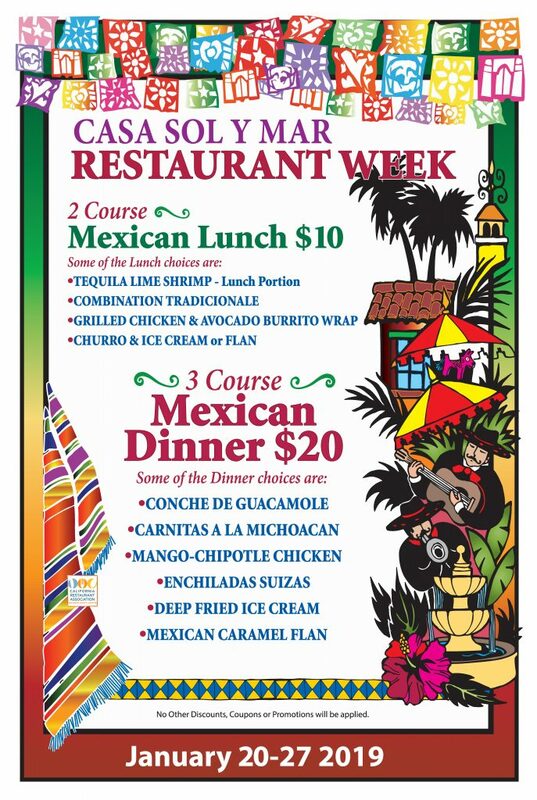 It’s a San Diego Restaurant Week Fiesta at Casa Sol y Mar! More than 180 of San Diego’s finest restaurants are gearing up to participate in San Diego Restaurant Week this year! 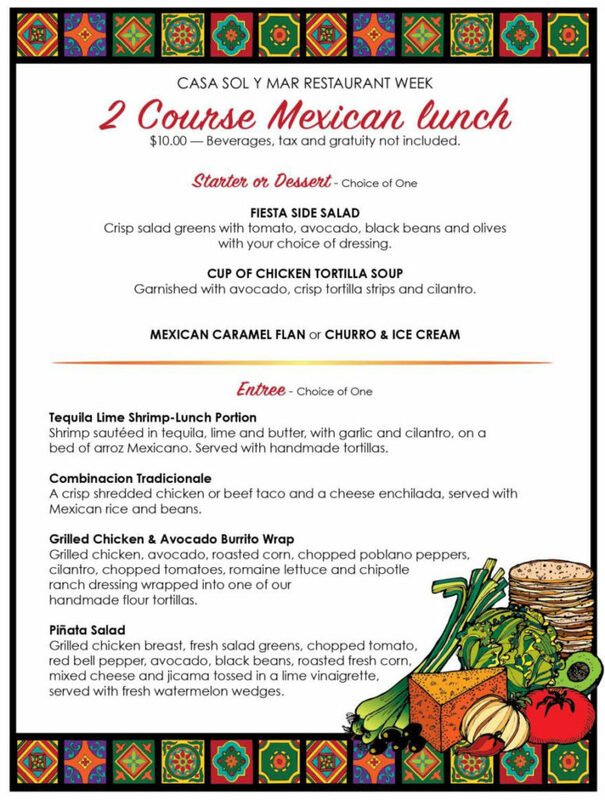 Starting next week (Jan. 21-28, 2018), your amigos at Casa Sol y Mar are offering up lunch and dinner options at delicious discounts. 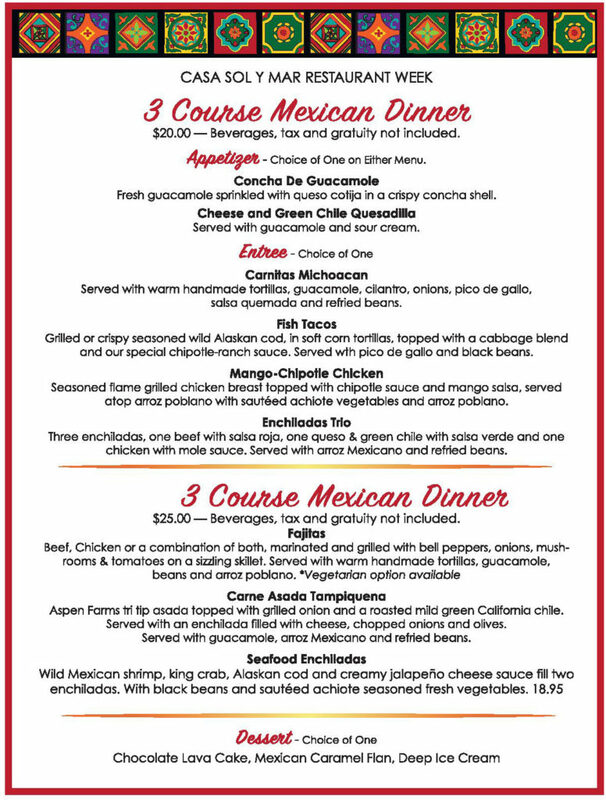 Check out our two available menus below. Dazzle guests with a festive party to remember and have Casa Sol y Mar take care of the details! 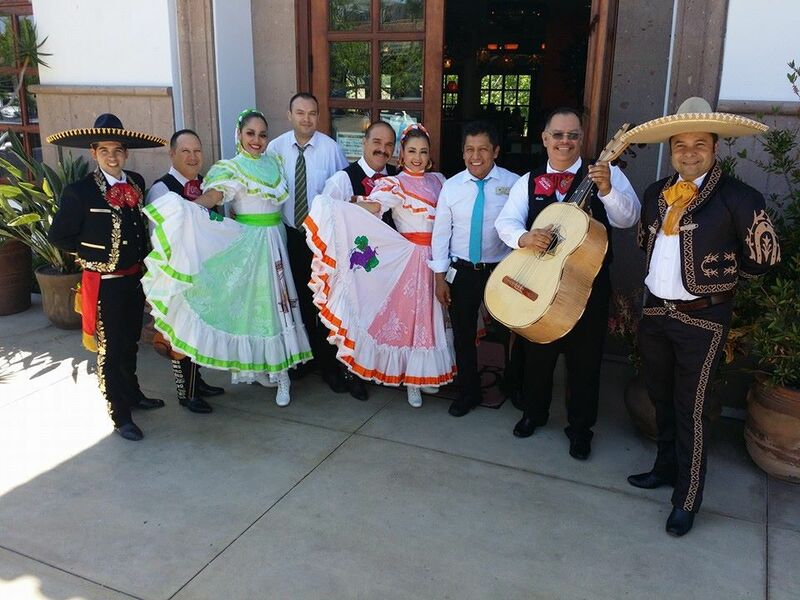 When you let us host your party, your guests will enjoy our traditional Mexican food, strolling mariachis and world-famous margaritas. Whether you are throwing a holiday gathering or a casual company lunch, we have a variety of delicious menu packages that cater to your needs. Or, have it your way with a menu custom designed to fit your one-of-a-kind event! Diane Powers’ Casa Sol y Mar is a top San Diego destination for authentic and award-winning Mexican cuisine, showcasing friendly service and the very best in Mexican culture. We have a gorgeous dining room, charming patios, a private room and a lively Cantina available to host whatever special occasion you are celebrating. Casa Sol y Mar welcomes guests near and far with its vibrant atmosphere and fabulous décor. The fiesta begins when you walk through the door – your party will be welcomed with vivid colors, hand-painted artwork and hand-crafted furnishings. Our environment makes every occasion extra special, spotlighting fun entertainment, delicious cuisine and refreshing cocktails. 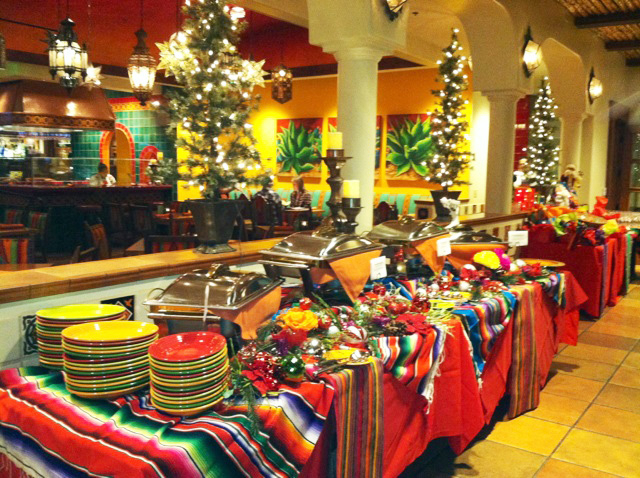 Diners can sip on frosty giant birdbath margaritas while enjoying regionally inspired Mexican fare, alongside festive Mariachi music. We take pride in serving the best traditional and regional Mexican cuisine – all of our recipes are made from scratch using only the finest ingredients. From freshly made tortillas to a selection of 14 homemade salsas and sauces, Casa Sol y Mar offers a wide array of choices for all tastes. For those with special dietary needs, Casa Sol y Mar provides special gluten-free, vegetarian and healthy dining options. We also offer fully staffed, buffet catering for offsite events in San Diego, making party planning easy by offering our delicious cuisine for pickup or delivery. For more information or to book a reservation, call 858-792-4100. Treat your guests to the true spirit and taste of Mexico at Casa Sol y Mar!